The choice of which kind of watch to buy is a really personal decision, because people would love to have different styles of watch to pair with their outfit. Although you have a large collection of watches, you would probably want to purchase more for yourself. If you are looking for affordable or even cheap watches to style with your outfit or show your unique vibe, this post is going to show you awesome USA watches under 5 dollar. And I bet that there is at least one of those watch would meet your need. 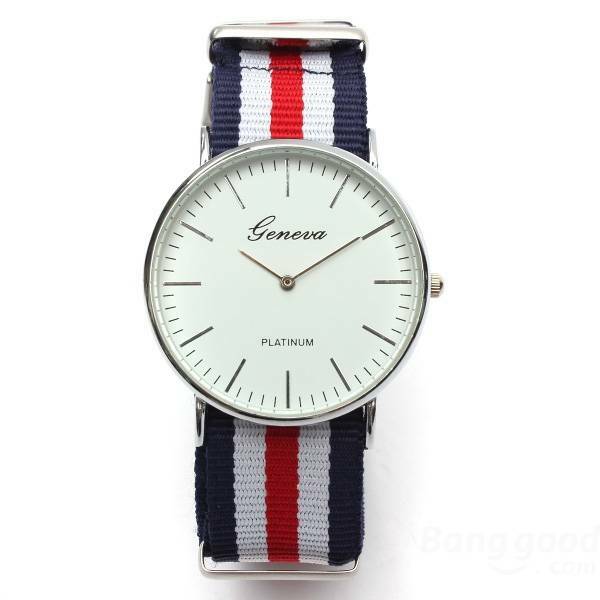 As the preppy wrist watch, this amazing watch with striped canvas watchbands will be the trendy choice. And this one is only US$3.59, so this one make me surprised with its unbeatable price. It’s a watch in British style. In view of that, you could style this one with your clothes in British style. 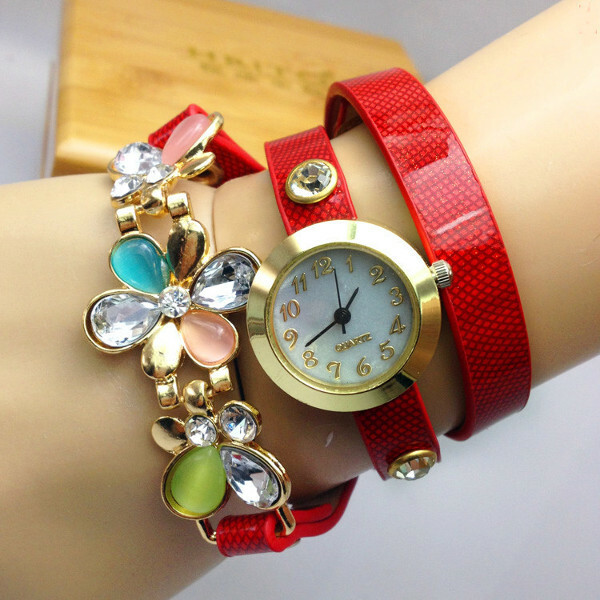 Girls would love adorable watches with flowers, and this plum blossom watch would be the best choice for teen girls. This one, cost US$4.99, looks like the bracelet in red, which is really passionate to wrap your wrist with. I love this one for the eye-catching color and its unique design a whole bunch. Aside from eye-catching watches, it’s also inevitable to have a classical leather watch to match with your outfit in different style. 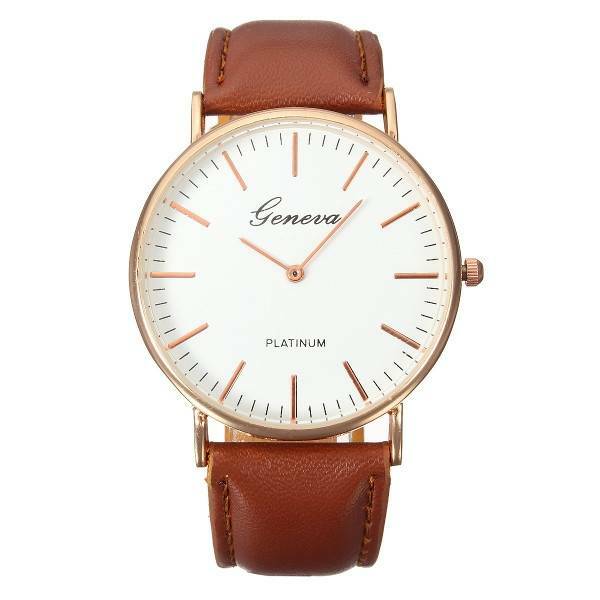 Since the leather watch like this one is a casual choice for most of you, you should have this one as the safe bet. And it cost only US$4.39. 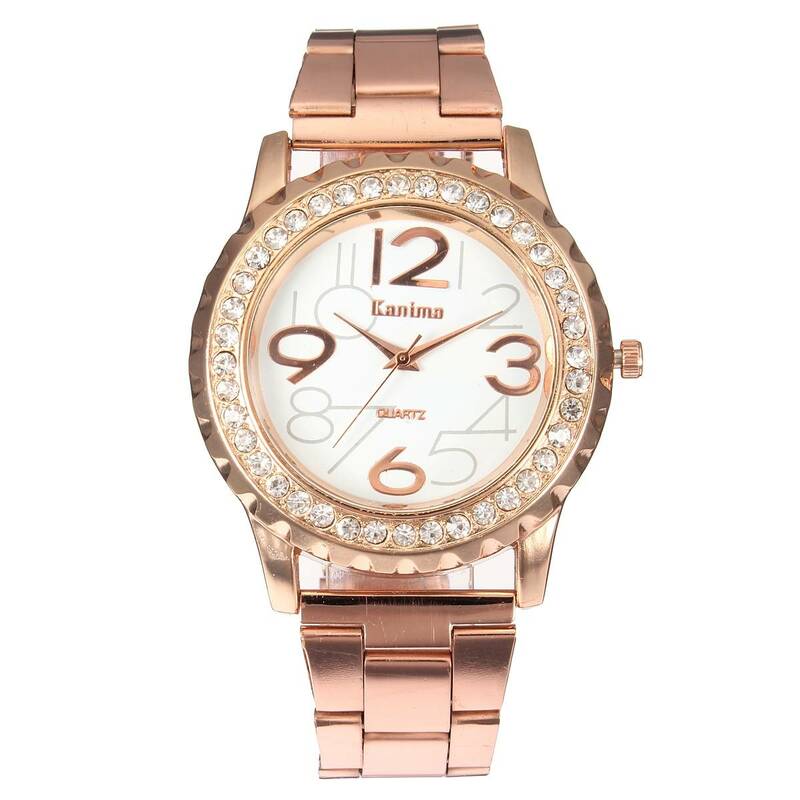 The last one will be the watch in rose gold, which has been the trendy color for recent years. Nowadays, there are more and more fashion women who would love to style the metallic gold watch with different kinds of bangle and bracelets.